Please activate JavaScrip and reload here. You are using a old or unsupportet Web-Browser. 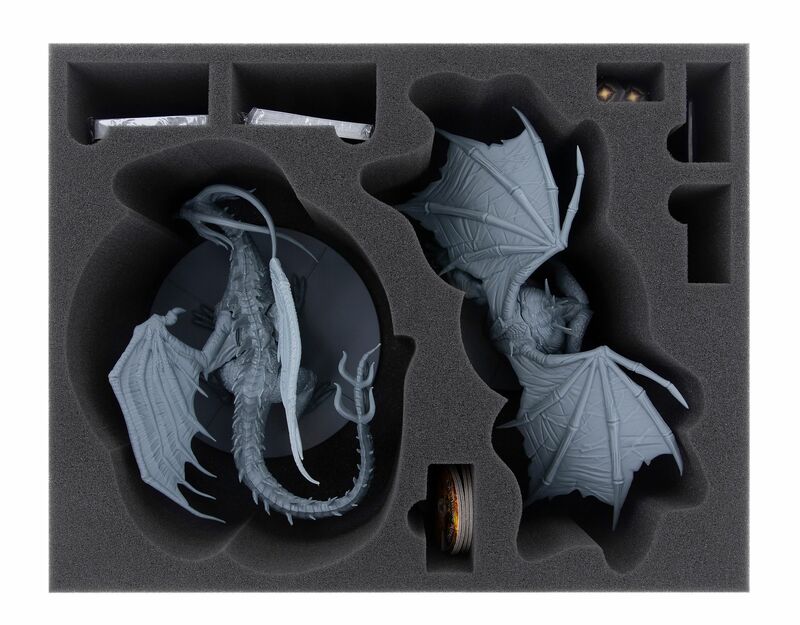 You’ve been looking for a reliable storage- and transport solution for the „Boss Expansions“ of the Dark Souls board game? Look no more, you've already found it. 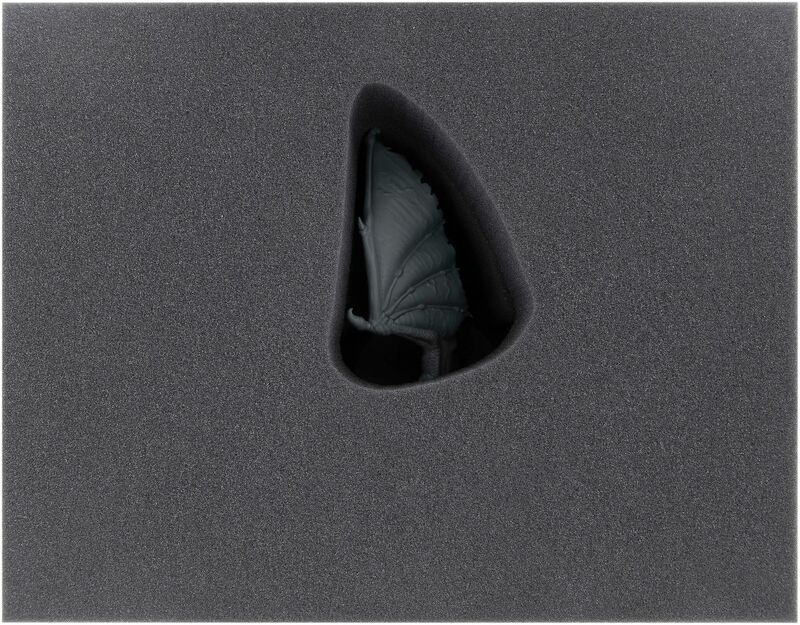 The heart of the Set are the foam trays, in which each and every miniature gets its own, tailor-made compartment. 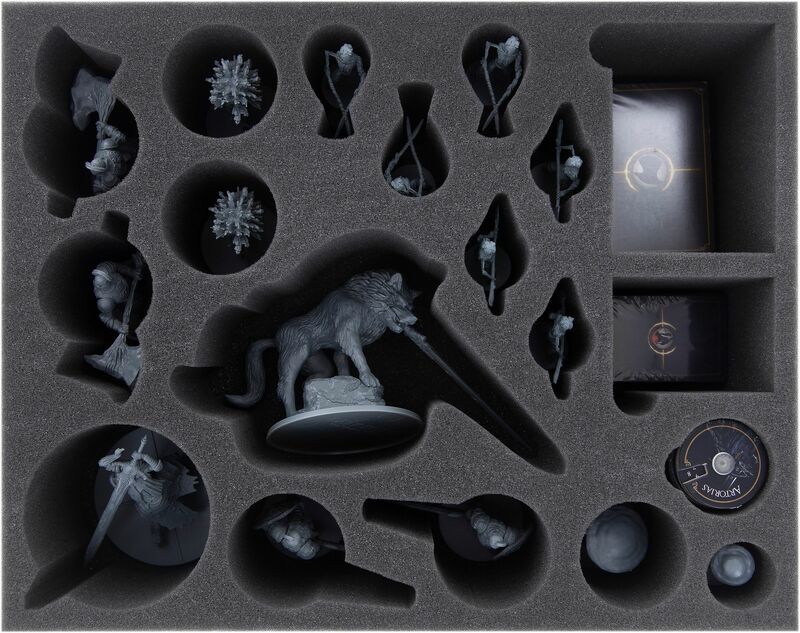 The four royal models of the Four Kings expansion are thus equally well protected against breaking parts as is the Great Grey Wolf Sif of the Darkroot Expansion. 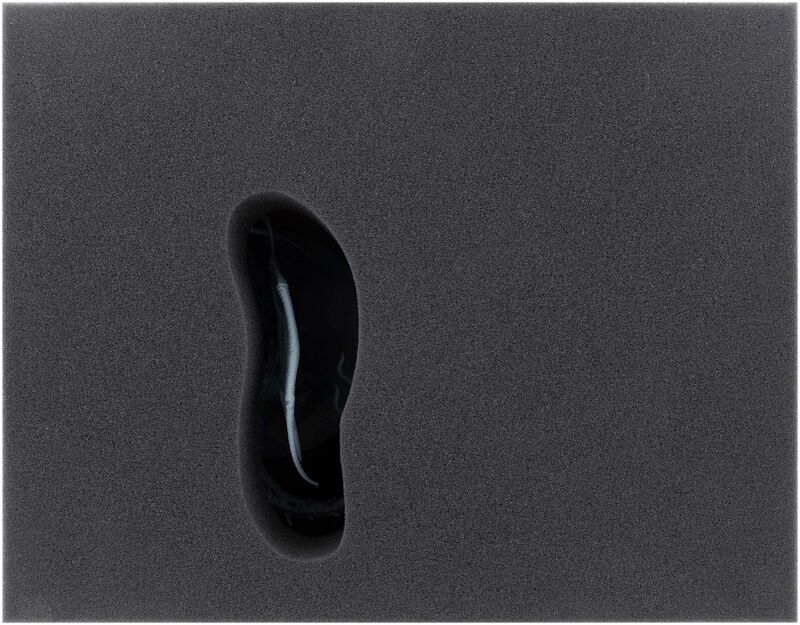 The super-soft Feldherr foam also safeguards reliably against scratches and other damage incurred to the figures’ surface. If you painted your minis, you can thus be sure that the color is there to stay. 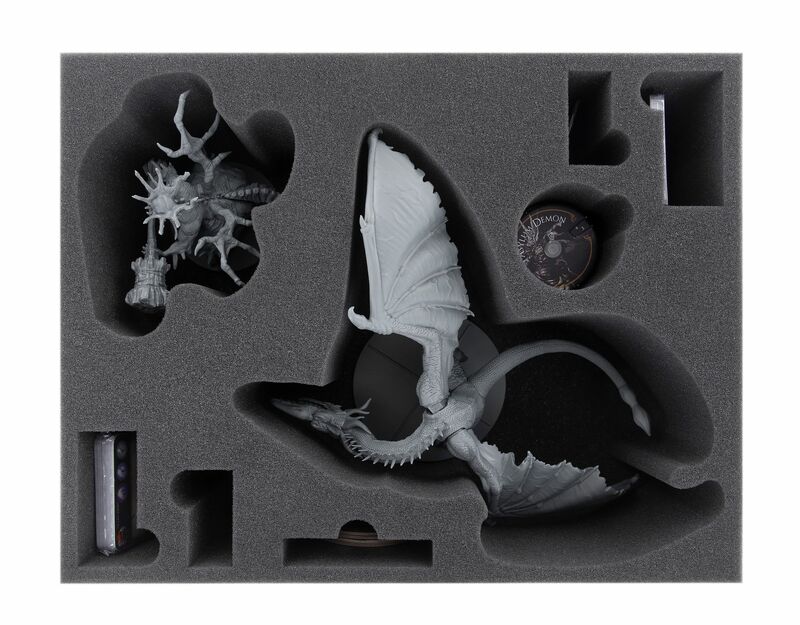 The foam trays for the large models Black Dragon Kalameet, Guardian Dragon und Gaping Dragon are two-part. In order to keep them safe, just place them (if applicable together with smaller miniatures) into the lower part of the tray. Then lay the upper part – which features a precision cut hole – on top. That’s it. 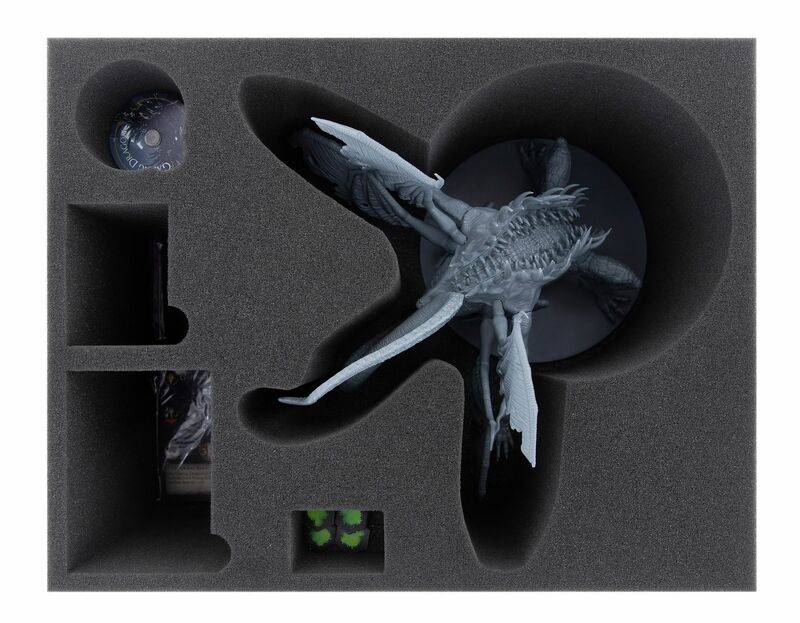 In order for you to always stay organized, many of the trays feature additional compartments which allow you to sort small game material like (sleeved) cards and Dials. 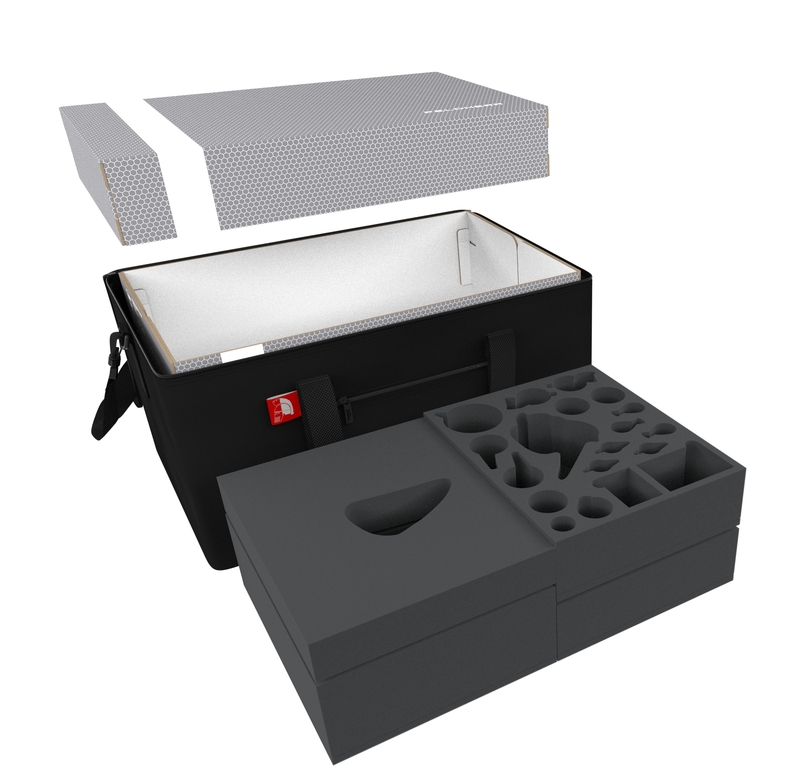 When filled, the trays can simply be placed on two stacks inside the storage box. 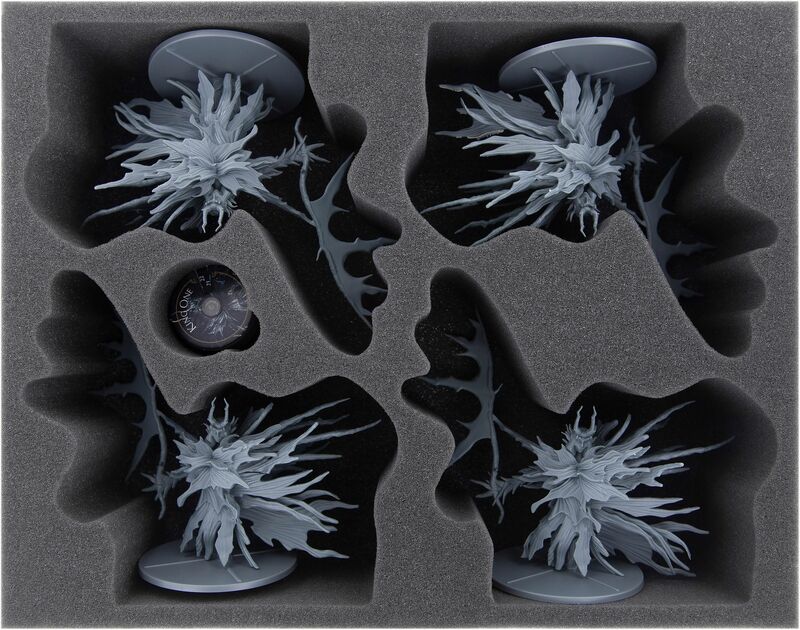 The Set also includes two foam toppers – one to make the stacks level, and another one as cover to make sure nothing can fall out of the trays. 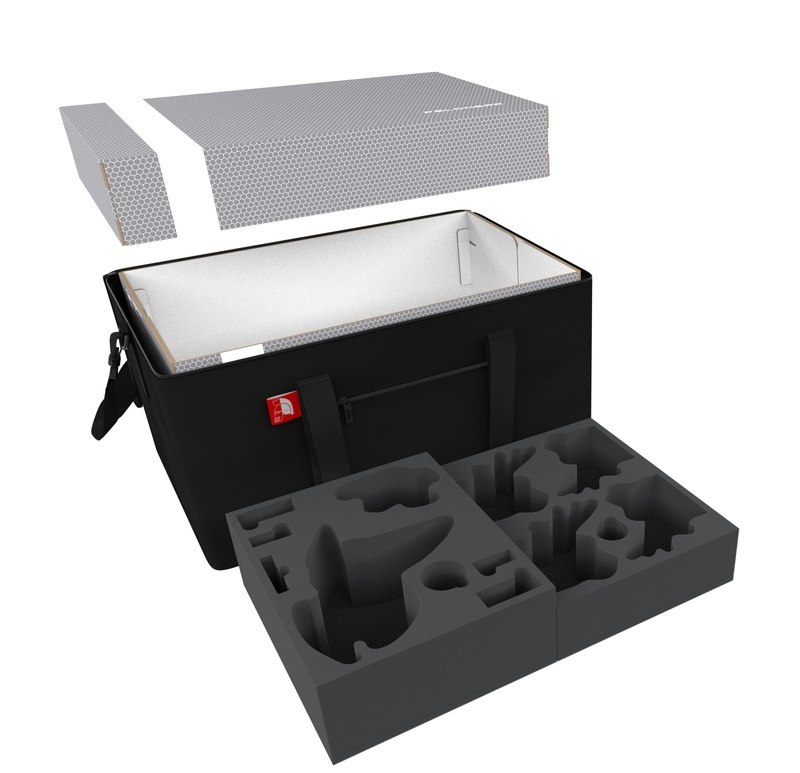 Because of the great total height of the foam trays, the trays will slightly extend over the edge of the storage box, but due the flexibility of the foam, the lid will nevertheless close gently. 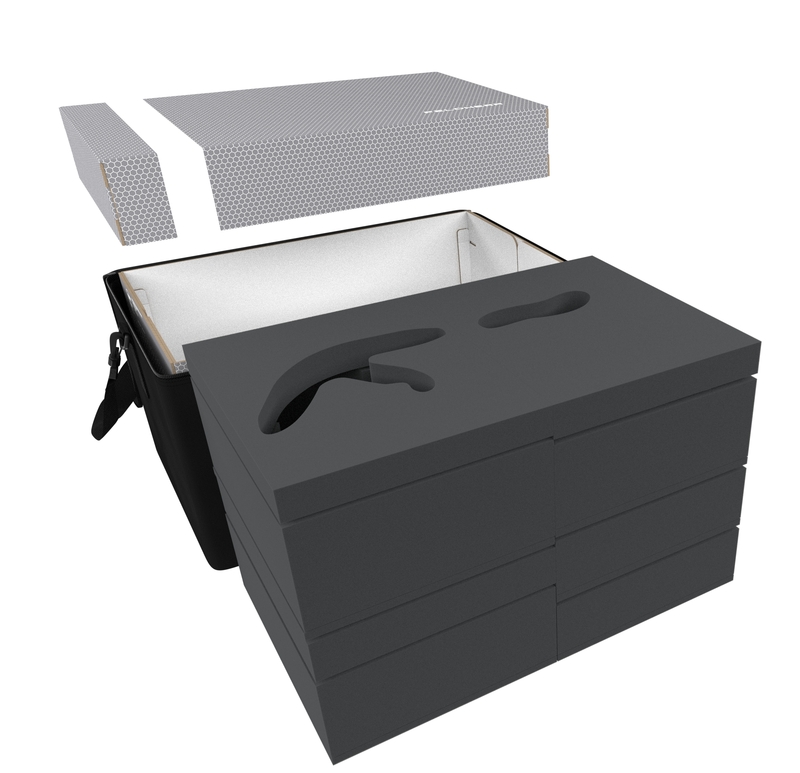 The storage box itself is made of coated, double-walled cardboard. It is therefore both very light and very stable. The attachable lid reliably protects your miniatures from dust and other external influences. Of course, the storage box fits exactly into the Transporter bag. 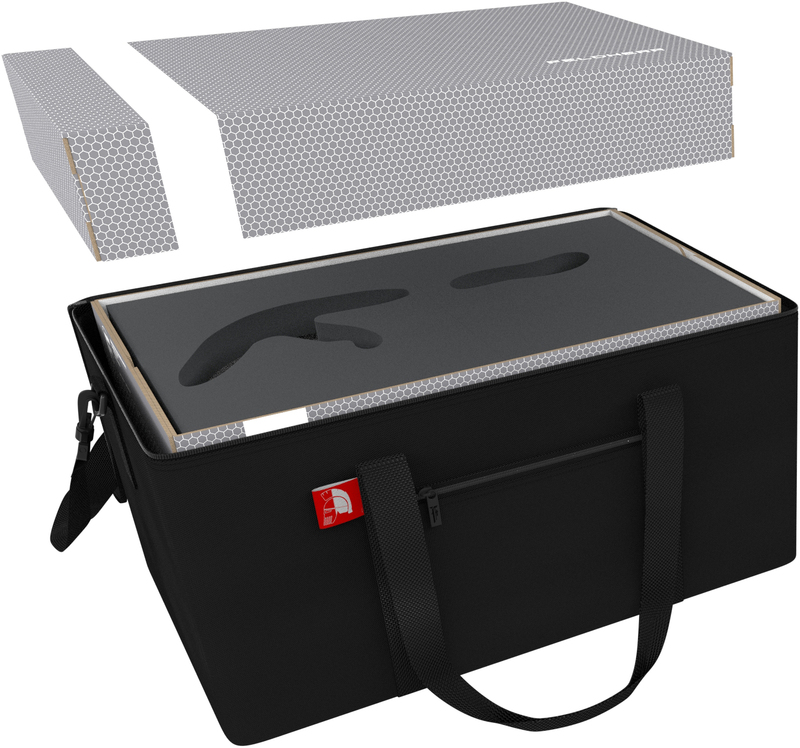 The bag is made of lightweight but durable fabric. 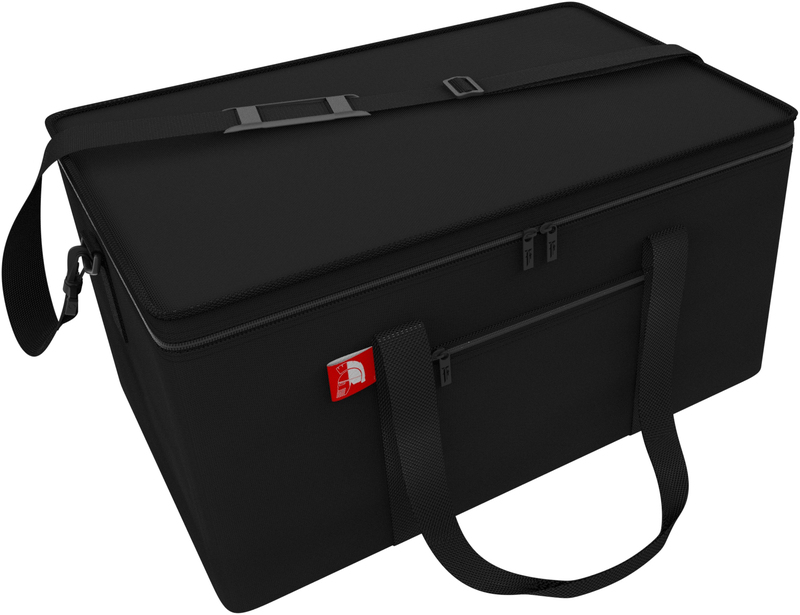 In addition to the large main compartment, the bag has a small side pocket, e.g. for the Rulebook. It can be lifted with two handles or comfortably shouldered with the sturdy shoulder strap. Models pictured are for size comparison only. They are the personal property of Feldherr company or employees. We grant five years guarantee from date of purchase on our products with defects, which can be traced back to insufficient or defective processing. The guarantee does not apply to Feldherr Storage Boxes. If you have a problem with our products after the expiry of the guarantee, we will also be glad to assist you. Please contact for further informations. The full Guarantee conditions can be found here! . Benefit from our money back guarantee if you are not satisfied with your Feldherr order. Provided that the product is in the condition of delivery, we will organize a replacement, or we give you your money back. You shall only bear the costs of the return shipment. The 60-day time limit is counting from the day of delivery. Please contact us beforehand for further information. 99% of costumers recommend us! Buying in a online-shop is a matter of trust. So for us the customer support is more than a promise. Your satisfaction is important to us. Try out and test the quality of our products. Find a Feldherr store next to you! The EU Commission provides a platform for out-of-court disputes. © 2019 Feldherr Lager- & Transportsysteme GmbH. All rights reserved. Umsetzung durch Onlineshop Agentur (Agentur für Webdesign) Ja, mein Kind? !